Mayor Billy Barlow (left) and Oswego City Police Chief Tory L. DeCaire (right) congratulate Zachary Misztal on his promotion to Deputy Police Chief. 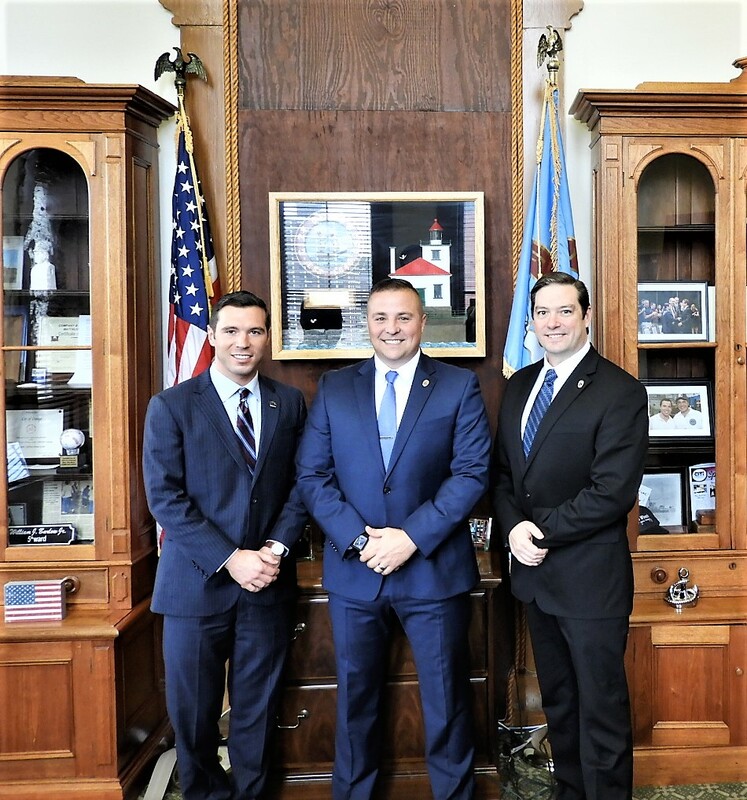 OSWEGO – Mayor Billy Barlow is pleased to announce the promotion of Police Lieutenant Zachary Misztal to the rank of Deputy Police Chief. 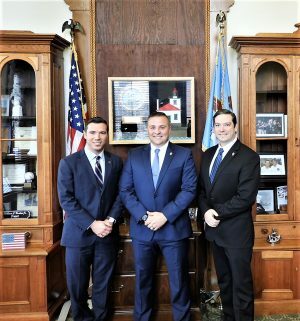 Misztal, a 15-year veteran of the Oswego City Police Department, has served as a Lieutenant with the department since 2013 and was most recently assigned as the Criminal Investigations Division Commander for the department. As Deputy Police Chief, Misztal will serve as the second in command of the department with oversight of patrol and investigative operations. The Deputy Police Chief will begin in his new role effective October 28.